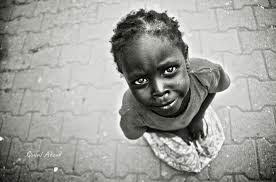 #ChokoraCulture is a movement created with the aim to unpack and examine the aspects and vulnerabilities of street children. We make the public aware of the true nature of the problems and implications the children face. ChokoraCulture works together with the Family Wellness Center – Kenya, and we continue to bring together different people to collectively help us understand the children’s lifestyle and advocate for them. You can join the movement by simply sharing some of their stories on your social media platforms, using the Hashtag #ChokoraCulture. Your small change can honestly go a long way. Any contribution and dedication to the movement can really go a long way in helping these children. Join the #ChokoraCulture Movement. Share and be part of the Change. © [Chokoraculture.com],  [Angela Wahu] . Unauthorized use and/or duplication of this material without express and written permission from this site’s author and/or owner is strictly prohibited. Excerpts and links may be used, provided that full and clear credit is given to [Chokora Culture] [Angela Wahu] with appropriate and specific direction to the original content.